What does it mean to major in public policy leadership? Public Policy Leadership, the only interdisciplinary undergraduate program among SEC schools, is a study of public policy and leadership that prepares high-performing students for positions of leadership in an increasingly complex world. Turning ideas into action is the focus of the Public Policy Leadership major. Students combine the study of public policy with the study of the leadership qualities necessary to plan and implement successful policy. The interdisciplinary curriculum incorporates economics, geography, history, philosophy, political science and psychology. PPL majors gain a broad knowledge of public policy and skills in policy analysis, organizational leadership, social science research, critical thinking, written communication, oral communication, consensus building, and decision-making. 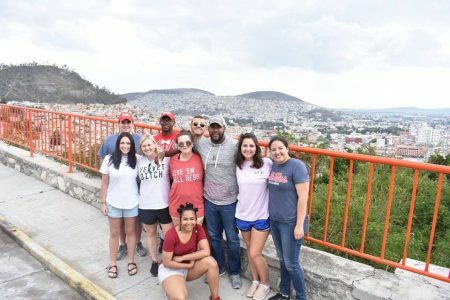 Students acquire an understanding of the ethical imperatives of leadership, and a clear appreciation of the global nature of responsible decision-making. Why is the University of Mississippi a good place to major in public policy leadership? The seven faculty of the interdisciplinary department have Ph.D. degrees ranging from political science, geography, public administration and policy, and philosophy. Their areas of strength include civic engagement, information technology in public administration, ethics, regional development, environmental policy, economic policy, food policy, non-profit organization, social policies, and moral responsibility. 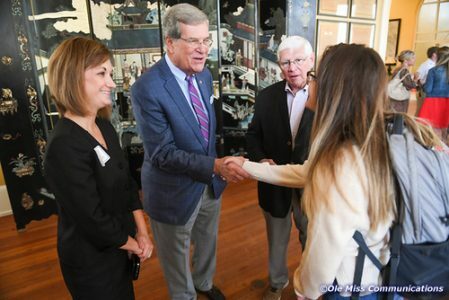 In partnership with the Trent Lott Leadership Institute, the department offers enriching experiences to students through interactions with policy makers/practitioners, summer study abroad, and internships. The Washington Internship Experience allows students to live, work, and study in our nation’s capital for a semester. Summer Lott/PPL study abroad experiences have included Argentina, China, Mexico, South Africa, and South Korea. Students pursue internships in government (White House, U.S Congress, Supreme Court, State Legislatures, and local governments) and in areas such as finance, technology, medicine, education, politics, media affairs, non-profits, science, and law enforcement. The Lott Leadership Institute offers scholarships to entering freshmen with exceptional leadership and academic records who will pursue a B.A. degree in Public Policy Leadership. The scholarships provide $10,000 per year for four years. 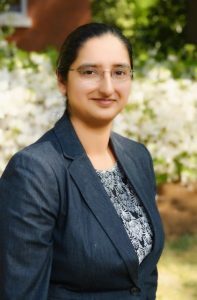 Dr. Nidhi Vij Mali, Assistant Professor of Public Policy Leadership, earned her Ph.D. in Public Administration from the Maxwell School at Syracuse University. Her research focuses on the use of information technologies in public administration, and social welfare policies, such as health policies in a global comparative context. 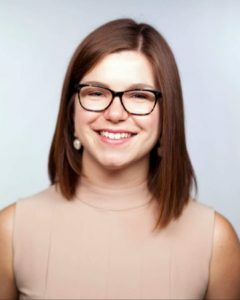 She is interested in the impact of the technology on bureaucratic processes, collaborative governance, and community public participation. She is also interested in developing impact evaluation designs and implementation for social programs. Among her current projects, Dr. Vij Mali is excited to work in exploring how telehealth in Mississippi can be used in improving maternal health outcomes. She teaches PPL 310 public policy design and analysis and PPL 210 Public Policy Analysis and Quantitative Methods, and was recently awarded the Howell Family Outstanding Teacher of Year Award by the College of Liberal Arts. What can public policy leadership majors do after graduation? A liberal arts education empowers and prepares students to deal with complexity and change through a broad knowledge of the world. They gain key skills in communication, problem-solving, and working with a diverse group of people. Related careers to public policy leadership include government, law, policy analyst, natural resource manager, legislative researcher, nonprofit and NGO administrator, or project development analyst and manager. Christine was a founding member of the UM Food Bank and a leader with the Associated Student Body, Ole Miss College Democrats, and Mississippi First. She presented her ideas about education at a national conference and her honors thesis included a documentary film on college preparation and student aspirations in MS public high schools. Christine was also a Truman Scholarship finalist. Whom should I contact to learn more about majoring in public policy leadership?